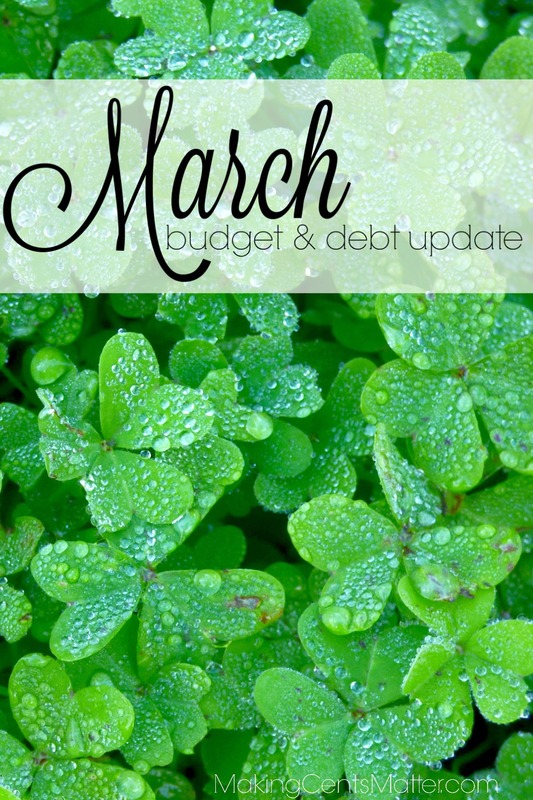 Our March budget, while it didn’t go as I hoped, had hung in there for the rocky month we had. 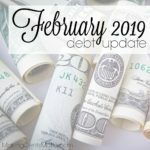 I had goals for saving back up our budget overage from February’s budget, as well as paying down a bit on debt. 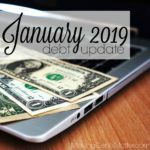 While our income is still lower for the time being, the kids were still sick, so most of our budget went to food to keep them somewhat fed, fuel to various appointments, and more in OTC medicine than I can remember spending in a year. I mean, honestly, when did cough syrup become over $15 for a bottle?! I knew March wasn’t going to be a total wash since we did have an extra paycheck, and while I normally put that paycheck into our annual savings account, this year with our FSA, I’m not since the bulk of our medical expenses are already saved for. This month, the bulk of our extra pay went to making up for our Feburary budget overage. All that being said… how did we do for the month? 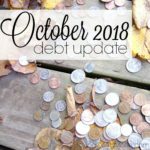 We ended up paying off $1,426.64 in debt this month, and $4,961.28 in debt so far for the year. With a quarter of the year gone, we’re very close to a quarter of the way through my $23,000 goal for the year! While I didn’t make the $1,500 goal for the month, it was close. So close, that when I added back in the amount I spent to fix Bookworm’s trumpet, it would have put us over the $1,500 mark. March was pretty exciting. 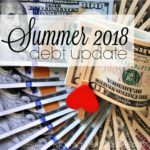 While we may not have made significant headway with our snowball this month, we did pass the $70k mark on debt paid since we started getting serious about getting out of debt in 2014. Excited yet?! Cause I sure am! This month had an extra paycheck, so rather than our usual 4 weekly pays, we had a 5th paycheck to work with. The majority of our bill is for internet service. 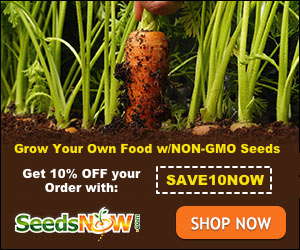 After some research, there are no other service providers for our specific location. I could pay for dish internet, and while the speeds would theoretically increase, the connectivity is more unreliable than what we currently have. 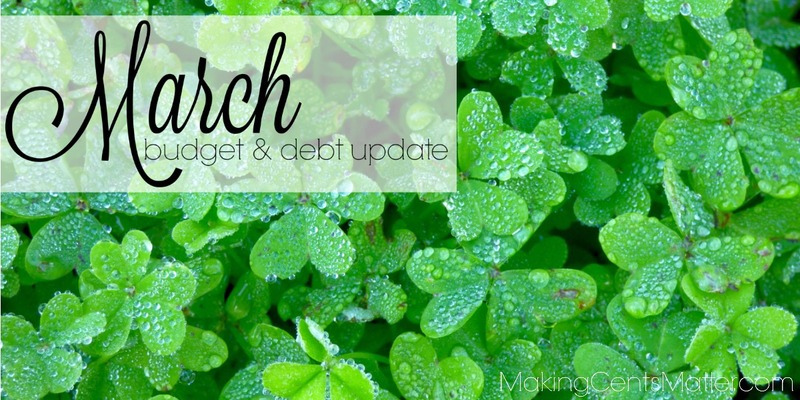 This month’s debt payment was smaller because I needed to resave our checking account buffer. Our bill was a little more this month. I’ll explain more about this in our monthly meal plan post. Hubs and I took a night to go see Logan and have dinner without the kids. It was nice! I spent a lot on household items this month. As with groceries, I wasn’t really focused on getting the best deal on some things, it was just get it and get home. This month we bought some more toilet paper, dishwasher detergent, Moana on DVD to tame the sick beasts, and the most expensive item, a new mop and bucket. I’ve had a microfiber o-mop for the longest time, and while it works on our hardwood floors, it’s frustrating to get our kitchen tile clean with it. So I went back to old reliable… an actual mop and an actual bucket. This is a lot for eating out. Some of it was planned, like lunch out after our dentist appointments. Others, like picking up take-out after a long day of doctor’s appointments and driving in the car, were not. March brought a Nor’Easter our way that dumped over 2 feet of snow where we are, and left the kids out of school for 3 days straight. Hubs bought some gasoline for the generator and chainsaw in case the power went out and we needed to use them. 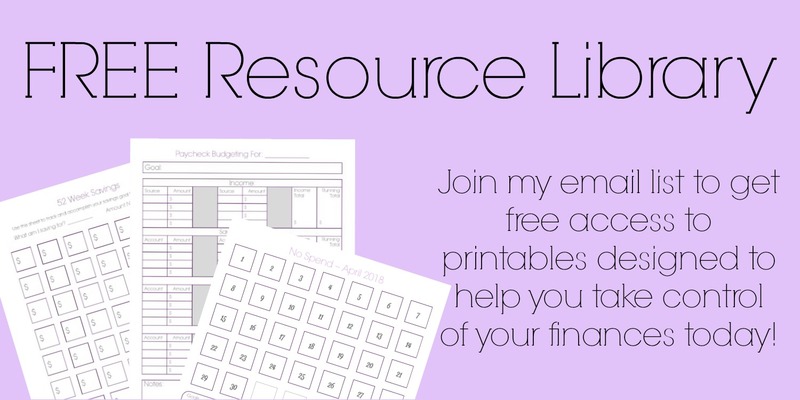 Each month I put an allotted amount of money into our savings accounts to pay for expenses that vary throughout the year. 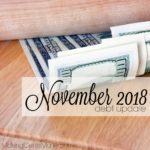 Here, you’ll find a break down of what we put away in the account throughout the month, as well as any expenses through the month that came from that account. Keep in mind that what we put into the account each week is not a representation of the account balance. After going over budget in February, and dipping into our checking account buffer, replenishing that buffer was top priority for our savings this month. Every week I put money aside into this account to cover certain expenses we don’t have every month. Some months we don’t use anything that I put aside, other months we use a lot. To read more on how much we try to put aside and what we use it for, you can check out this post. With the sick this month, I had to buy some more antibiotics for Monkey, Albuterol for Lady Bug, and Pulmicort for both. At the beginning of the month, I had received a 30% off coupon from Kohl’s, and decided to go check out their clearance selection to see if I could find Lady Bug anything for Kindergarten coming in the fall. To make it even sweeter, they had a $10 off $40 on kids clothes too. I’m glad I decided to stop because I found a LOT of clothes for her on clearance. More than I had found last month! She won’t need much more for Kindergarten beyond shoes and school supplies. I also found a LOT of shirts for Monkey, also on clearance. I even found myself and Bookworm some things too, including some nice hooded sweaters. While it seems like I spent a lot, it works out to be $4 per item, and I saved $452.70. I also have quite a bit of Kohl’s cash and Yes2You Rewards that I can use later. We pay for our trash bill every 3 months. It varies based on the number of bags we set out for pick up over that time frame. There’s the rundown of how our budget and debt repayment went throughout the month. 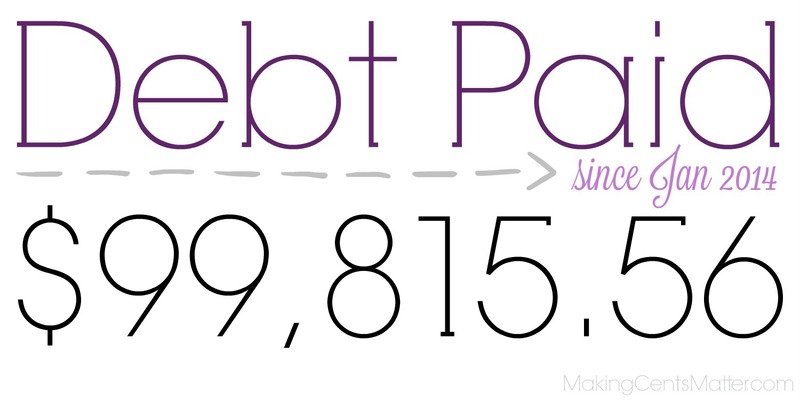 I didn’t get as much paid on debt as I would have liked to, but we didn’t go over budget like last month. 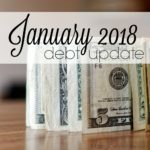 How did your March 2017 budget & debt repayment go? Did you have any successes or hit any snags? I’d love to hear in the comments below!